As our Boston drunk driving car accident lawyers can explain, a vehicle alcohol ignition interlock device is a device that must rented from an approved vendor contracted with the state. The defendant must pay for this and it usually a few hundred dollars. The defendant must then pay to have the ignition interlock device monitored. This can cost as much as a hundred dollars per months and is one of the main reasons the legislature is hesitant to require the devices for first time offenders. As MADD noted, in terms of an analysis of all state laws, there are only two states that do not allow the use of an alcohol ignition interlock device for first time offenders, and those two states are Massachusetts and Idaho. One of the ways MADD has been successful in getting its message across is through the use of testimony from victims of serious drunk driving accidents and their families. One person interviewed told her story and spoke of how she was driving in the Greater Boston area around a decade ago when she was hit by a drunk driver while making a turn when the driver ran a traffic light that was red. The drunk driver was alleged to have been three times over the legal limit in Massachusetts of 0.08. The injuries she sustained in this Framingham drunk driving accident were substantial. She suffered broken ribs (all of them), and a collapsed lung, as well as other serious types of trauma. The suspect was allegedly known to police as a repeat drunk driver. There is no question that any law that keeps drunk drivers off the roads is a laudable goal, and there is no reason why Massachusetts should not have the same protections for the public as 48 other states. The problem, however, as our Boston drunk driving lawyers have seen, is that regardless of what laws are in place, those who drive drunk typically do not have a problem breaking the law since that is what they are doing when the get behind the wheel while intoxicated, whether they are a first offender or a fifth offender. It is true that the penalties are much greater when we are dealing with repeat offenders, but years of studies by the National Highway Traffic Safety Administration (NHTSA), as well as basic common sense, tells us that alcohol is drug that affects one’s ability to engage in sound judgment. This coupled with the fact that alcohol lessens one’s inhibitions only strengthens the argument that people are not willing to follow the law when it comes to drunk driving. In car accident lawsuit following a drunk driving crash, we are dealing with proving a negligence case in a civil court instead of trying to prove a criminal case, or make someone use a vehicle breath alcohol sensor. The fact that an at-fault driver had one and drove anyway, could be used to file a claim for additional damages, though such as punitive damages, and this may be relevant. 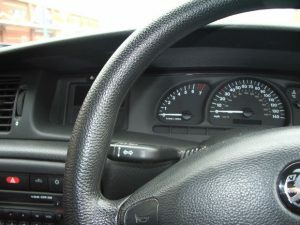 The way the device is works that a driver must blow into a tube to start his or her car. The tube is connected to an onboard breath alcohol testing device that checks the sample. If it is clear, the car will start, and if the driver has been drinking, it will not start the vehicle and notify the company that monitor’s the device. The company will then turn in the violation notice to the Bureau of Probation and the defendant’s probation officer will issue a violation of probation notice to the court. In addition to having to blow into the tube to start the car, it must be done at random intervals while driving to prevent a driver from having a sober person blow into to start the car and then driving away. This actually happened quite often before the need for subsequent testing was added to the system. In some cases with the current system, we have actually seen cases were a drunk driver will have their child below into the device to start the car and then do it again whenever prompted to retest. This type of egregious conduct may be introduced to a jury in a Boston car accident lawsuit, and this will not only help convince a jury of ordinary negligence, but it can, in some cases, be used to establish what are known as punitive damages. This is something about which plaintiff should speak with their experienced Boston drunk driving lawyer about, since the facts of the case will determine what damages may or may not be appropriate.